Katie Parkin will be giving a talk and charcoal demonstration at her art exhibition ‘Land and Line’ at the Meffan Museum & Art Gallery. Katie Parkin was presented with this award for her exploration of the Scottish East Coast; capturing the vastness of cliffs and intricacy of the rock faces. 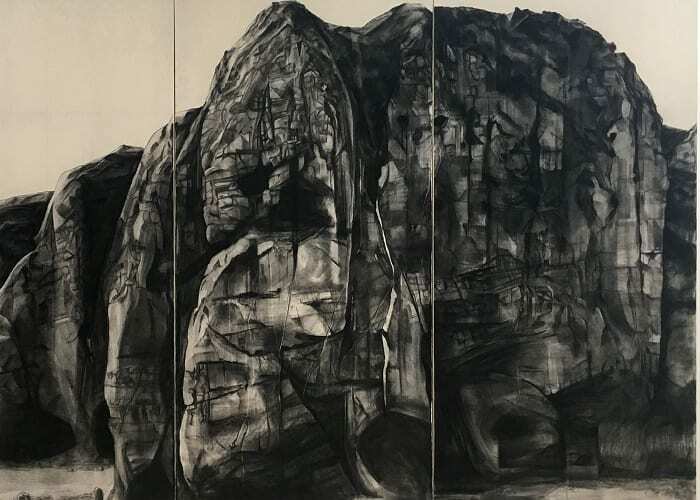 Katie’s use of charcoal reflects the relationship she has with the Scottish Landscape where she is almost sculpting the paper and charcoal with her hands, layering up and scraping back this medium the way ice sculpted the Scottish landscape over tens of thousands of years. Admission: £4.80. Concessions £2.70. Booking is essential.